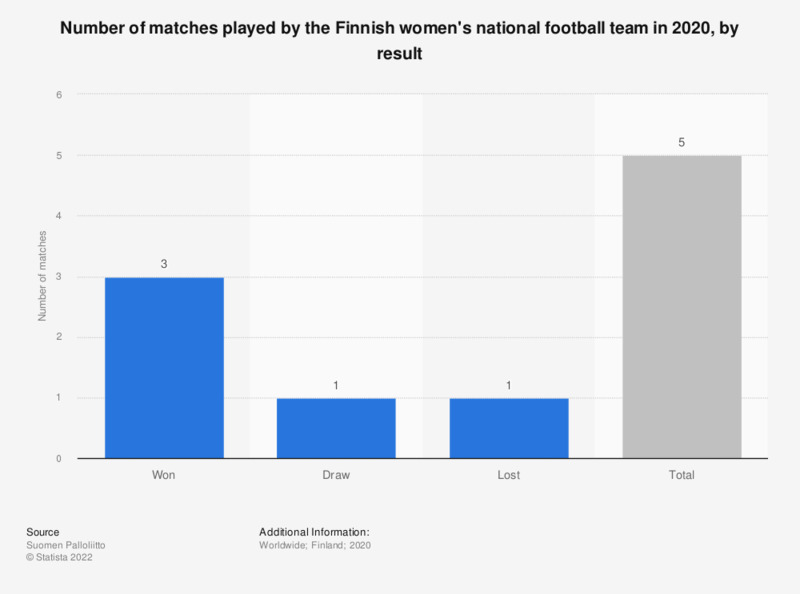 This statistic displays the number of matches played by the Finnish women's national football team in 2017, by game result. Out of the total 10 games played in 2017, the national football team won four. The team carries a nickname 'Helmarit' (in English, 'The Pearl Owls'). Football is a beloved hobby sport in Finland but falls behind ice hockey in popularity as professional spectator sport.